This goes together really fast, so make the strawberry sauce first and set aside. 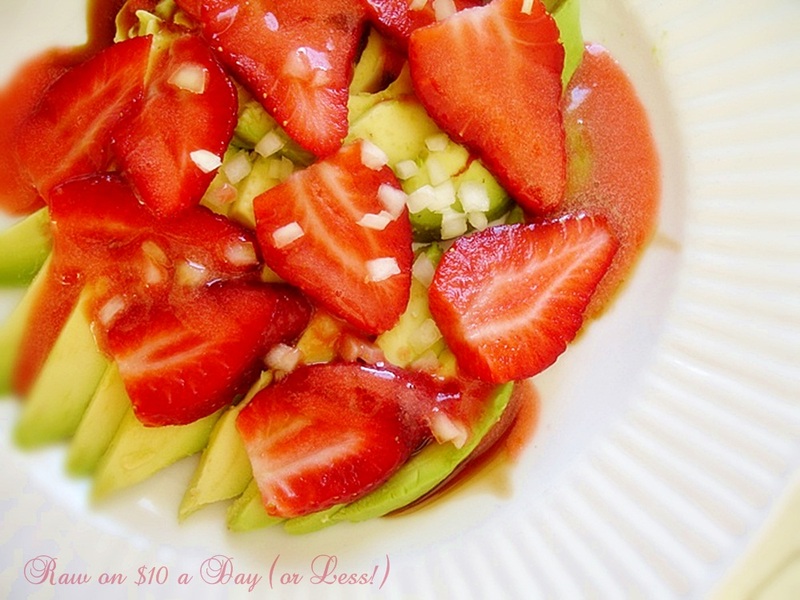 For the strawberry sauce, in a bullet type blender, puree six strawberries, the agave, balsamic vinegar, and olive oil until very smooth. 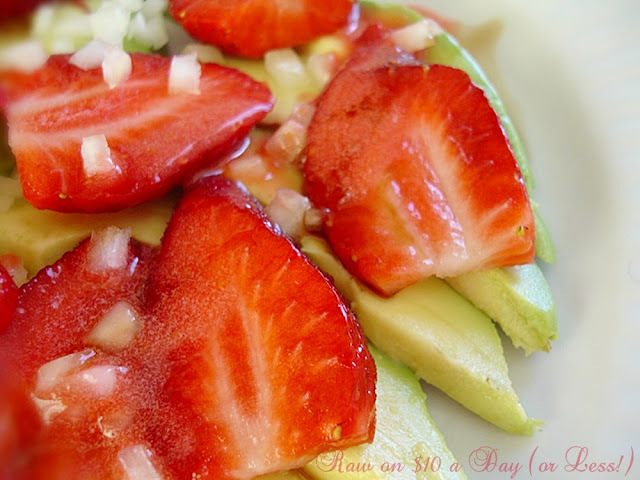 Slice the avocado and arrange on a plate. Thinly slice the remaining strawberries and place on top of the avocado. Sprinkle on a bit of minced onion as well. Spoon on the strawberry sauce. Oh this looks so delicious! I love strawberries and avocados so this salad is right up my alley! I just made this for my husband, and he loved it! !